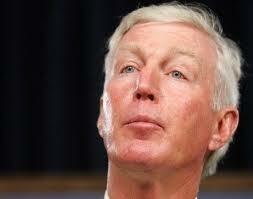 Ted Morton Faces Stiff Competition Over Power Lines | R.E.T.A. This Edmonton Journal article reiterates the power line controversy that dogs Ted Morton in the current election campaign. The Journal article reads, “Public anger over government land bills and a cabinet decision to build two high voltage transmission lines have put former Progressive Conservative cabinet minister Ted Morton on the defensive in the newly-structured riding of Chestermere-Rocky View.” Morton is facing stiff competition from former TV broadcaster Bruce McAllister of the Wildrose. See this recent RETA blog for more details on Ted Morton’s problems. ~ by RETA on April 15, 2012.